From Hobby Lobby to Museum of the Bible, Jackie Green and her husband, Steve, have been trying to be the hands and feet of Jesus Christ to the world. 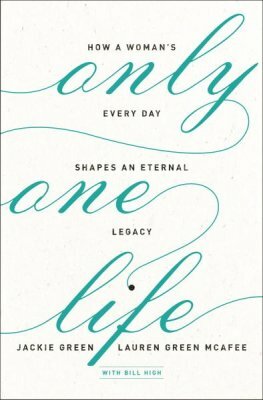 In her new book, Only One Life, Jackie and her daughter, Lauren Green McAfee, share the stories of women from the pages of Scripture all the way to current day. Click on the audio below to hear the Bott Radio Network Encounter interview as Jackie shared a bit of the impact of the choices we make today and the potential they have to last long after we leave. This interview originally aired on Bott Radio Network KSIV 1320 on June 1, 2018.